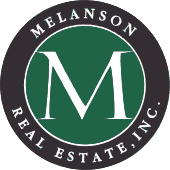 Gilford NH Real Estate for Sale | Melanson Real Estate, Inc.
Gilford, in Belknap County is located on the sourthern shore of Lake Winnipesaukee. It is the only NH community named after a Revolutionary War battle. Alpine skiing became popular in the 1930's at what is now Gunstock Recreational Resort. If live music is your passion, head to the Bank of NH Pavilion and catch one of the many fantastic performances held there every season. Let our team of professionals help you to find the right property, whether year round, vacation or weekends away, land or your next commercial venture. Contact us for more information and to set up a showing. Register with us to save your favorite listings and get updates when similar properties are posted.